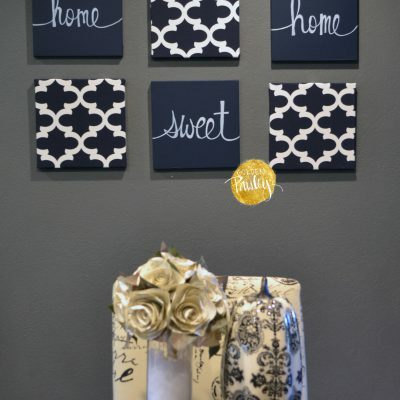 This wall art pack features SIX 12 x 12 inch canvas wall hangings, which together create an impressive gallery wall that decorates a wall space over 3 x 2 feet large! 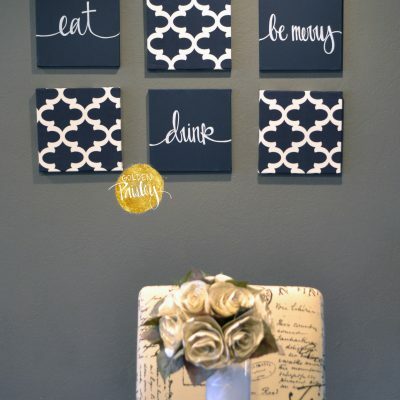 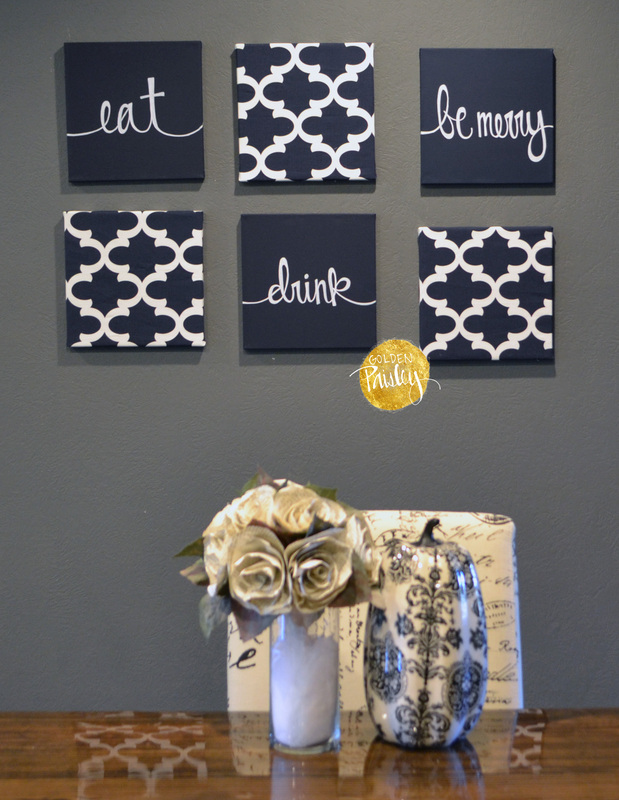 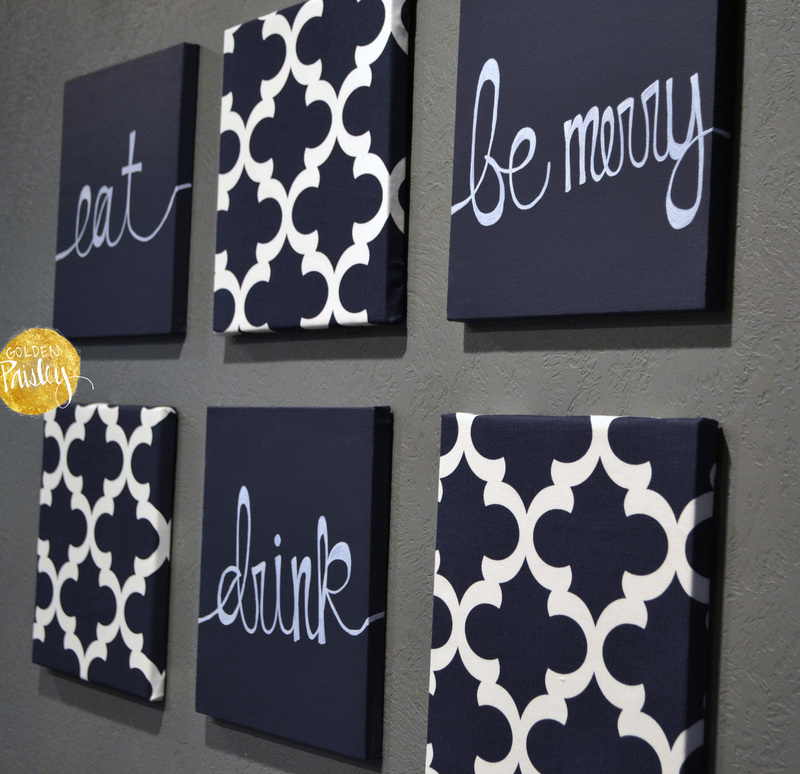 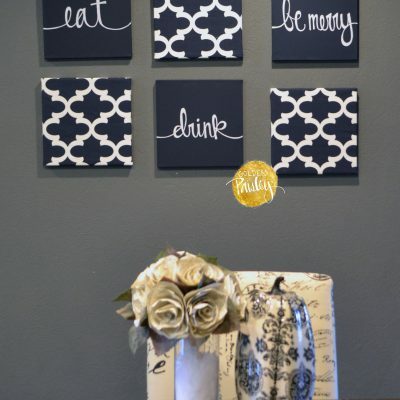 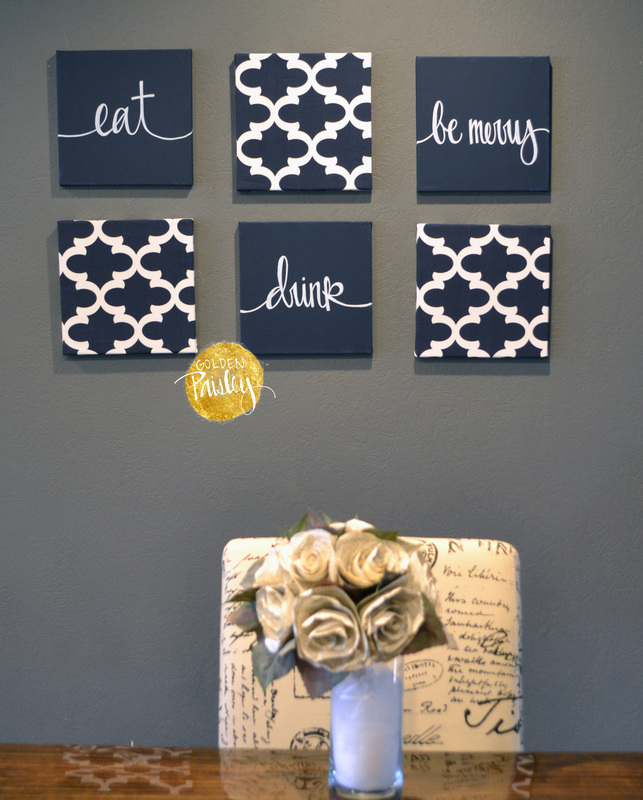 These paintings look excellent next to a dining table or above a sofa, and feature the quote “Eat, Drink, and Be Merry,” “home sweet home” or “live, laugh, love,” which makes it work perfectly in any room! The three canvas paintings are finished with a striking navy color with white text, and the three fabric upholstered canvases feature a modern white and navy Moroccan print. 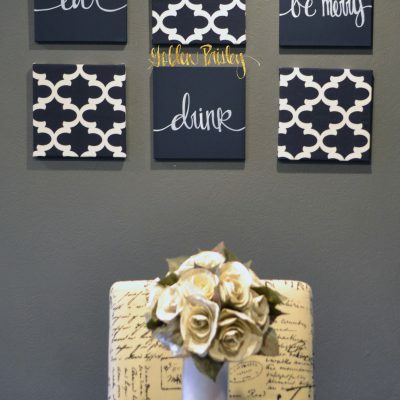 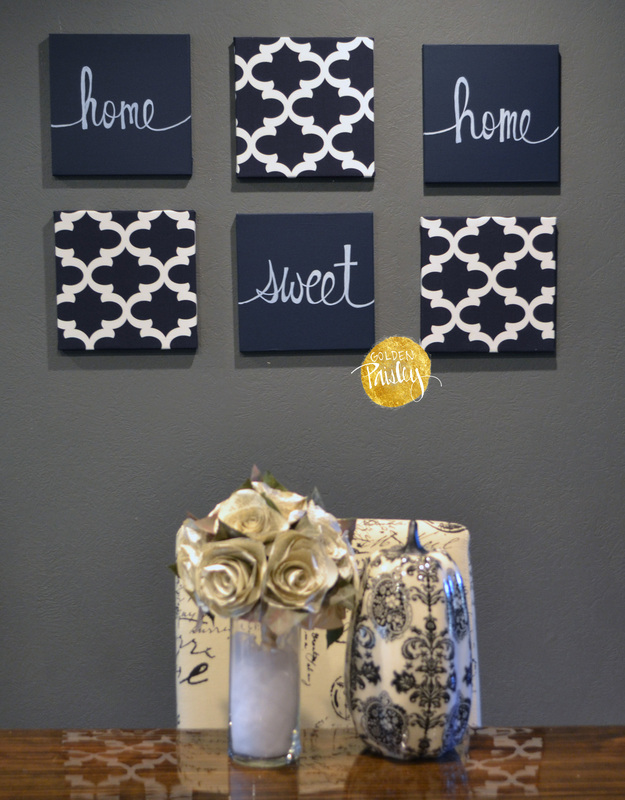 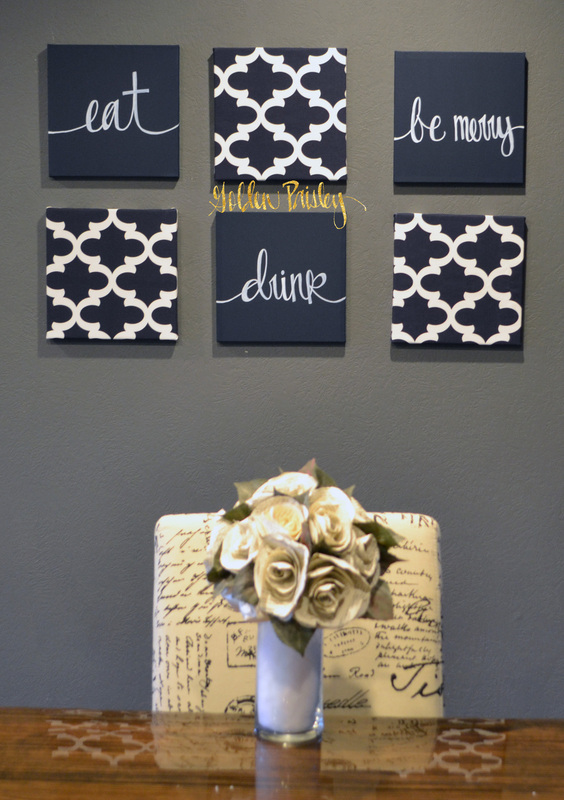 Each canvas features a self leveling sawtooth hanger on the back for easy hanging!